Although India isn’t really known to be an adventure tourism destination, like New Zealand, where adrenaline junkies can find plenty of things to get their fix. It still some amazing visuals to offer. 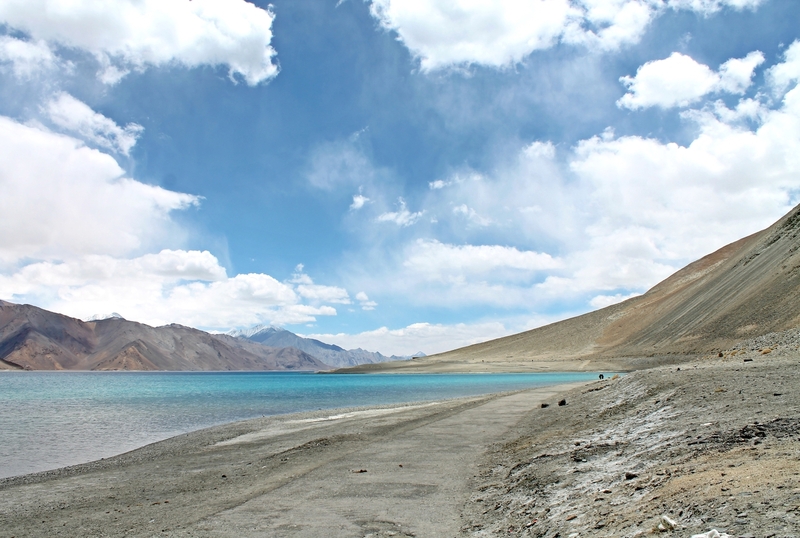 From snow clad peaks to arid deserts, and rain forests to mighty oceans, India has many diverse landscapes. Each, with their own brand of excitement. Here’s why we think India’s a great adventure travel destination! The Himalayas offer plenty of adventure travel options, ranging from easy treks for first-timers to serious expeditions. Among the most exhilarating adventure travel vacations in India is the Chadar Trek in Ladakh. ‘Chadar’, actually means sheet, and that’s what the Zanskar River turns into in winter. A sheet of ice. The entire duration of the trek, which is upward of 10 days, is spent on this sheet of ice. Along with the temperatures plummeting to -50° C. Nearby, in the SpitiValley, is the KanamoPeak, which, at 19,600 feet ticks all the excitement boxes. In the north-east of the country lies MtKanchenjunga, the third highest peak in the world. Although the Sikkim government has of late banned climbing the mountain from the Indian side, it can be viewed in all its glory on the YuksomGoechalaTrekin Sikkim. This trek is one of the most spectacular in the country, with pristine rivers and rhododendron forests. But what sets adventure travel vacations in India apart from anywhere else in the world is heli-skiing. The Himalayas have some of the best ski slopes in the world. Though some of the best ones can be accessed only by helicopter, the rush of excitement makes it well worth the effort. Because you can get adventurous even while exploring ancient traditions! Kalaripayattu, commonly known as Kalari for short, is a martial art that can be traced back 3,000 years. It is arguably the oldest martial art in the world. Performed using swords, daggers, spears, and maces, Kalari requires high levels of concentrations and hand-eye coordination. This martial art is witnessing a dramatic resurgence, and can be learnt at various locations around India. The Kalari Academy of Performing Arts in Bangalore offers certificate and short-term courses as well as a residential program. So, if you’re looking for adventure activities in India, Kalaripayattu should feature on your agenda. Even if you don’t want to learn it, you should definitely try and catch a performance in Kochi! 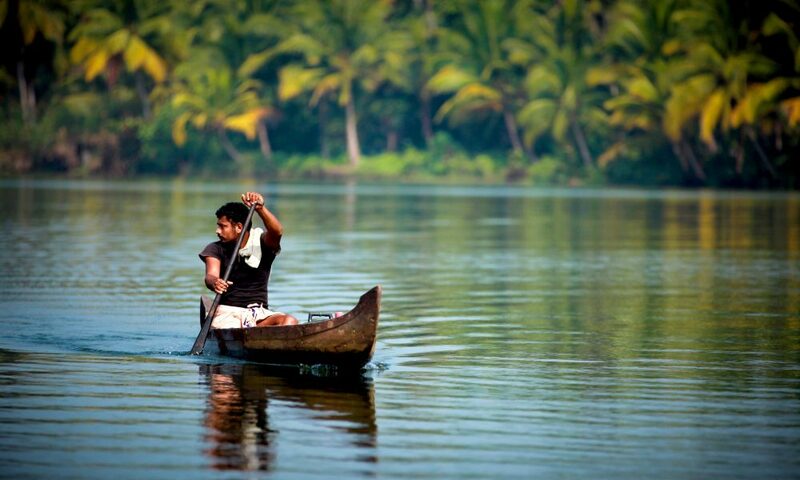 With more than 7,500 kilometres of coastline, there is no dearth of water-based adventure activities in India. You can try your hand at surfing, snorkelling, jet-skiiing, windsurfing, kitesurfing, scuba diving… the list goes on! Havelock in the Andaman and Nicobar Islands, is a hotspot for scuba enthusiasts, while Covelong Point, Mahabalipuram, and Vizag are great places to surf. Let us know if you’re looking for a water-based holiday; we’ll help you find one best suited for you! After all, no matter how beautiful a place might be, obviously no-one wants to throw themselves off a cliff or go diving unless they know they’re safe! But what a lot of people don’t know about adventure activities in India is that more and more operators are adapting and meeting International standards, making adventure sports in India safer than it’s been before! Among the many adventure activities in India, ziplining is fast gaining popularity. FlyingFox operates ziplines in 4 locations currently, including one at Rishikesh, which takes you careening 200 feet above the mighty Ganges. Rishikesh also gives you the opportunity to go white water rafting, or kayaking on the Ganges – read more about in this article about adventure travel in North India! And this is just a starting point: there are a number of other activities that can make adventure travel vacations in India truly memorable! Hot air ballooning has started picking up, there are some great spots for paragliding, and the North-eastern state of Arunachal Pradesh has a vast network of caves to explore. No matter what sort of adrenaline rush you’re looking for, we can help you plan it! Deciding if you should visit North India or South India?